House of Woyaks: Paula Deen Week at the House! Now, y'all remember when Rachel and I met the fabulous Paula Deen and her hubby, Michael, right? 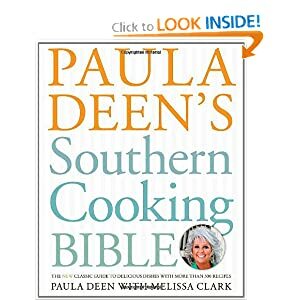 Well, I had to finish up October's menu plans before I could start eating my way through Paula's new cookbook. The time has finally come! WOOT! Have you read/watched "Julie and Julia?" Well, Paula is my Julia. I still can't believe I met the woman though! Anyhoo! 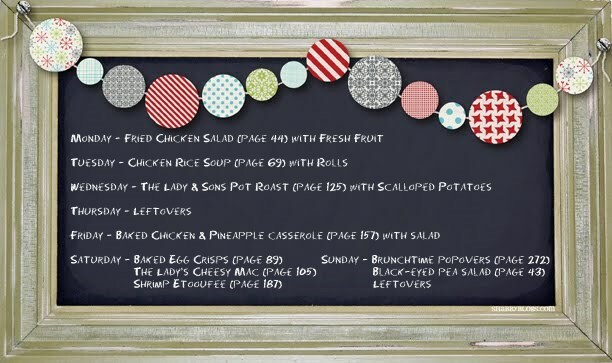 Are you ready for the menu this week? I included the page numbers, if you want to join me in the kitchen. Doesn't that menu just wanna make you grab a glass of sweet tea and gossip with your friends while enjoying some good old-fashioned Southern cooking? Well, grab your ingredients and get to cooking! But wait! You didn't think I forgot about Freezer Cooking Fridays, did you? Nope. I've got that covered, too. I am making Paula's Biscuit Doughnuts (page 293) on Friday. Also, I'm cheating a bit, but I am making double batch of the Chicken Rice Soup on Tuesday and a double batch of the Baked Egg Crisps on Saturday. Do you have a favorite chef? Have you eaten your way through their cookbook(s)?